We are one of the best floor renewal companies in the Columbia area. Just check out some of our customer reviews. In order to maintain a consistent and high-quality floor refinishing service for all of our customers, we continually train our technicians in the finest hardwood refinishing techniques. Consequently, we guarantee that you’ll love the results! Get in touch with Fabulous Floors to learn more about our wood floor refinishing services in Columbia, MD. Give us a call and bring back the beauty of your hardwood floors! We take pride in every single hardwood floor refinishing job we do in Columbia, MD. 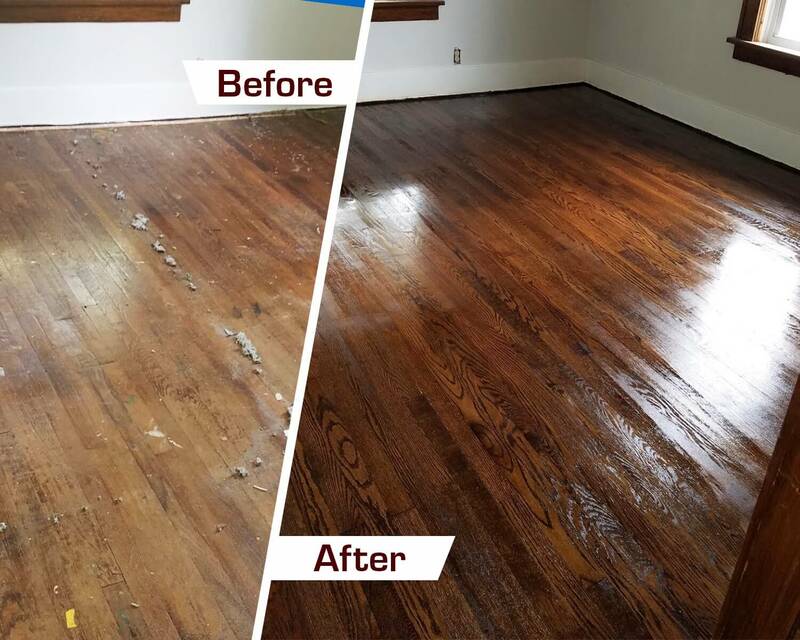 Whether it’s offering wood floor refinishing or wood floor resurfacing in Columbia, we want to make sure you’re satisfied as a customer and that we leave your home better than we found it. We only use the highest-quality products and all our services are GREENGUARD certified. This means that they are completely safe for you and the environment. Throughout our years of experience in the hardwood floor renewal industry, we’ve perfected our refinishing and resurfacing process. We are able to effectively transform your worn out hardwood floors into something new and full of life. Let us bring back the beauty and shine of your hardwood floors! First, we start by removing any visible carpet that may remain. Then, we use a special solution that removes any bonded residue left behind after we remove the carpet or pad. Next, we use our innovative sanding machine to help eliminate any scratches or dings that may be on your hardwood floors. Our sanding process is also virtually free from any dust, so we’ll never leave a mess for you to clean up. It’s then up to you to choose a stain color! With over 25 stain color options for you to choose from, we are sure to have a color that is perfect for your home. Lastly, we apply high quality, long-lasting polyurethane finish to your hardwood floors. We do this to make sure your hardwood floors are protected against future use.